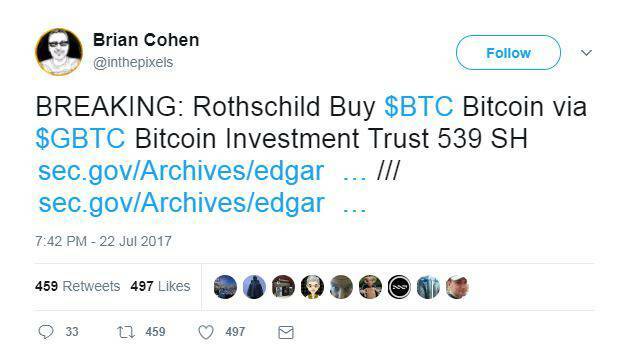 In a move that shouldn’t stun most BTC and cryptocurrency followers, Rothschild has purchased Bitcoin via the GBTC (Bitcoin Investment Trust) investment vehicle. 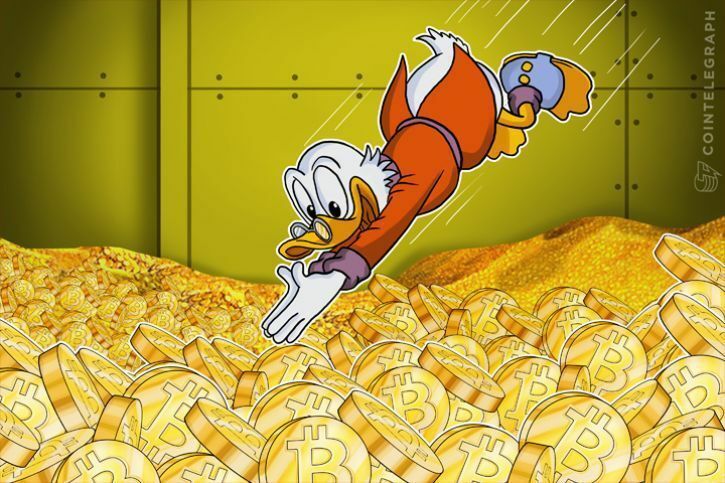 EC articles signed on Friday indicate that Rothschild has diversified into cryptocurrencies, now owning $210,000 worth of GBTC. The move should not come as a surprise given the widespread and increasing support of Bitcoin among institutional investors and hedge funds. The market had reacted with strong negativity after the fears of a potential breakdown in support of the BIP 91 and SegWit by miners. However, the market has since responded rapidly, increasing the prices of Bitcoin to close the week nearly 40 percent up from the lows of last weekend. The price of Bitcoin is a point of contention, with some saying that the bubble has come and a collapse is imminent, while others are suggesting that the price may skyrocket into the $5,000 range. Regardless of where the price goes, the fact that investors like Rothschild are beginning to diversify into BTC and other cryptocurrencies should bolster support for valuations.